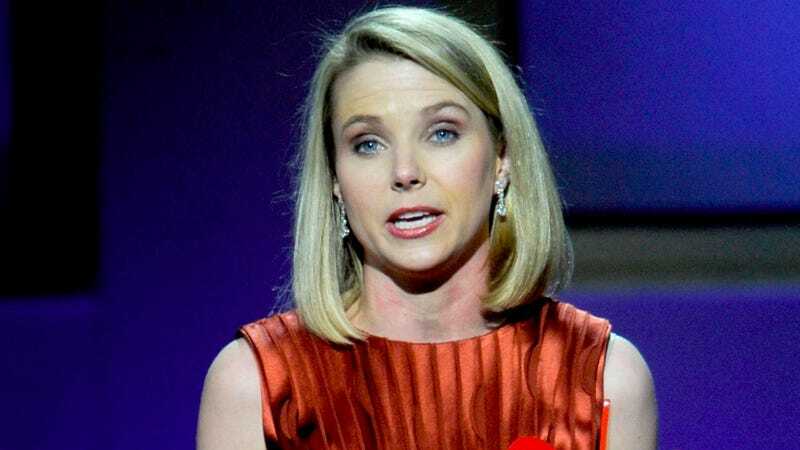 Notoriously "gender blind" Yahoo CEO Marissa Mayer is now mandating that employees become "one Yahoo!" by "physically being together," literally: no more working from home. Over the past few months, we have introduced a number of great benefits and tools to make us more productive, efficient and fun. With the introduction of initiatives like FYI, Goals and PB&J, we want everyone to participate in our culture and contribute to the positive momentum. From Sunnyvale to Santa Monica, Bangalore to Beijing - I think we can all feel the energy and buzz in our offices. Beginning in June, we're asking all employees with work-from-home arrangements to work in Yahoo! offices. If this impacts you, your management has already been in touch with next steps. And, for the rest of us who occasionally have to stay home for the cable guy, please use your best judgment in the spirit of collaboration. Being a Yahoo isn't just about your day-to-day job, it is about the interactions and experiences that are only possible in our offices. Thanks to all of you, we've already made remarkable progress as a company - and the best is yet to come. Numerous sources told Swisher that the mandate doesn't just extend to employees who were working from home full-time; it applies to staffers who had arrangements to work from home just one or two days a week, too. Many of the people who wrote to her were pissed off "because they felt they were initially hired with the assumption that they could work more flexibly." "The issue is an interesting and controversial one, with some certain that working at home is the wave of the future, while others considering it hurtful to productivity," Swisher writes. It's easy to make jokes about lazy Doritos crumbs-covered employees who are grumbling about lugging themselves off the couch. (Even though multiple studies, like this recent Stanford one, reported that call center employees increased their performance by 13 percent when working from home and reported "improved work satisfaction and experienced less turnover." But what about the people — single parents, working mothers, employees with ill family members — who require a certain amount of flexibility? It's doubtful that Mayer, who famously pooh-poohed maternity leave, really cares. According to Business Insider, Mayer might be making this move because "she knows that some remote workers won't want to start coming into the office and so they will quit. That helps Yahoo, which needs to cut costs." Savvy. It seems that being "gender blind" would serve that strategy very nicely.